Where is the electronic waste of the United States? _ PCB recycling machine,cable wire recycling machine,E-waste recycling plant,precious metal refining machine system,E-waste shredder,plastic and metal recycling production line,copper electrolysis system-Zhengzhou Zhengyang Machinery Equipment Co.,Ltd. 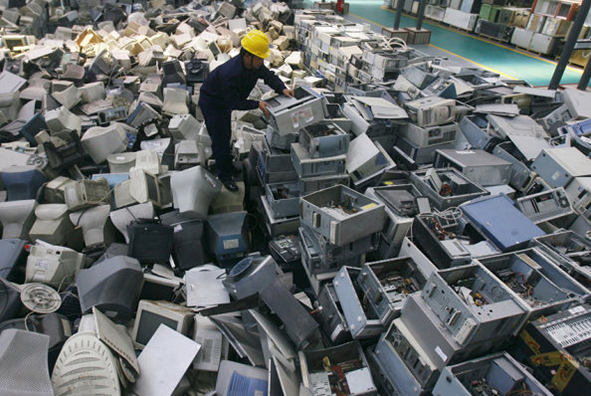 Home » News » Where is the electronic waste of the United States? Where is the electronic waste of the United States? America is a big consumer electronic products, at the same time is also the largest producer of electronic waste in the world, electronic waste disposal can cause serious harm to the environment and human, so, where electronic waste in the United States? It is understood that not all electronic waste will be recycled, many will be exported to other countries, according to the report, by the old electronic devices are installed on the GPS, a third of the e-waste eventually went to Mexico, China, Pakistan, Thailand, the Dominican republic, Canada, and Kenya. According to the report, so far most of the exports of toxic electronic waste into Hong Kong, mainland China is the second place, far behind Hong Kong, the main destination e-waste is a suburb of New Territories, Hong Kong. Due to China’s recent began to implement e-waste import ban, laws and regulations and strict, Hong Kong into the latest garbage paradise.